The Memphis Grizzlies have signed point guard Mike Conley Jr. to a five year, $45 million dollar contract extension. Although Conley is averaging 15 points, 8 assists and 4 steals per game, his overall performance since being drafted 4th overall in 2007 has been disappointing. 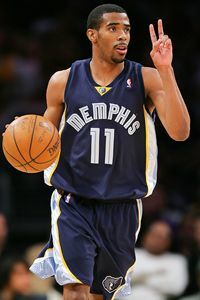 Last season Conley averaged 12 points and 5 assists a game. His lack of size and moderate speed make him a liability on defense. Conley is now making top ten point guard money, and may not be good enough to crack the top 20 as the season progresses. Phoenix Suns swing-man Jared Dudley and Atlanta Hawks center Al Horford also signed contract extensions this week. Dudley signed a five year, $23 million extension and Horford signed a five year $60 million extension. Dudley does a great job of hustling and knocking down threes for the Suns and has worked hard to improve his defense. Horford is one of the best centers in the league. His size and skill help the Atlanta Hawks dominate their eastern conference competition. This entry was posted in Basketball, NBA, News, Photo, Sports and tagged Al Horford, Atlanta Hawks, Jared Dudley, Memphis Grizzlies, Mike Conley, National Basketball Association, NBA, Phoenix Suns. 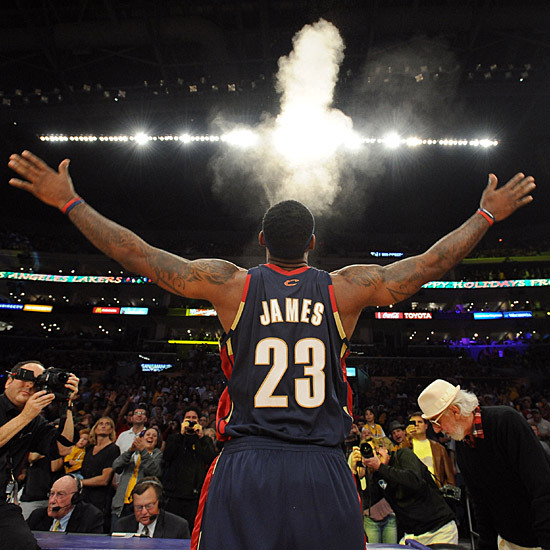 Cleveland Cavaliers free agent forward LeBron James has decided to play with the Miami Heat next season. James says his heart remains in the Cleveland area and noted how much he appreciated the love and support they showed him for seven years. James also mentioned that is was time for a change and that the opportunity to play with Dwyane Wade and Chris Bosh is a great one. The opportunity to win a championship with two other All-Star talents is something that was worth more than the extra money James could have received if he stayed with the Cavs. James broke the news on ESPN during his hour-long special titled, “The Decision”. Leading up to the show, ESPN Insider Chris Broussard reported that most of his sources had James joining the Heat. The show also brought James a lot of criticism regarding the attention he was seeking by drawing out his decision and making it into a dramatic movie. When James joins Bosh and Wade in Miami, his scoring and overall dominance will have to take a hit to keep the other stars happy. The max contracts that the all three demand will make it difficult for the organization to fill the Heat roster with capable NBA players. However, the Miami Heat will be the super-team of the NBA. James feels he, Bosh and Wade’s talents could lift each other up and eventually lead them to multiple championships. The verdict is still out on whether or not the Heat will be championship contenders this upcoming season. The mental toughness of James and Bosh in long and tough playoff series is still up in the air. However, what we all should do is applaud James’ commitment to winning which obviously out weighed his desire to “get paid”. Also, James never compared himself to Kobe Bryant or Micheal Jordan, we did that. James joining the Heat is a reflection on his commitment to winning, which is something we can use to compare him to MJ and Kobe. As an NBA fan, I am excited to see what the three All-Stars can do. As a die-hard Knicks fan, I AM UPPPPP-SETTTT!!!! This entry was posted in Basketball, NBA, News, Photo, Sports and tagged Chris Bosh, Chris Broussard, Cleveland Cavaliers, Dwyane Wade, ESPN, LeBron James, Miami Heat, Michael Jordan.